This is Maas’ second visit to Poland as Foreign Minister. 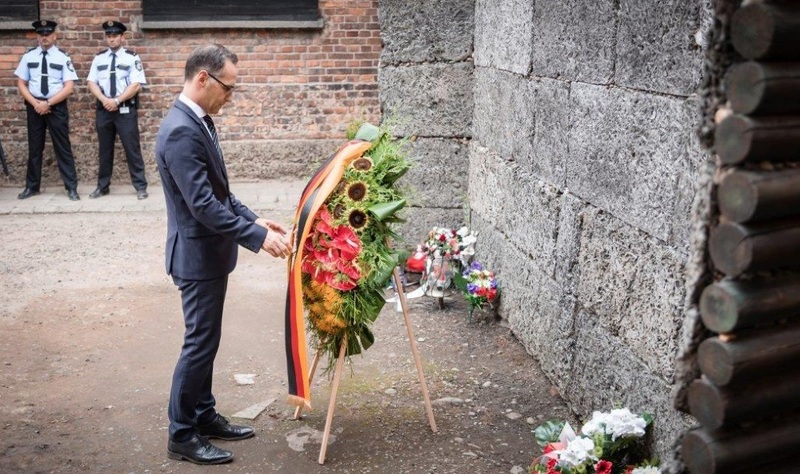 After visiting the Auschwitz memorial site, he was scheduled to meet his Polish counterpart Jacek Czaputowicz for talks about “bilateral and European questions”, according to his ministry in Berlin. Young applicants for the diplomatic and consular services accompanied Maas on today’s trip. The minister stated he was looking forward to discussions with Polish and German adolescents on site. Nazi Germany transported 1.3 million people to the extermination camp Auschwitz-Birkenau. About 1.1 million of them were murdered, mostly in the site’s gas chambers. Most victims, about 90 percent, were Jews. But tens of thousands of non-Jewish Poles, gypsies, homosexuals and members of other minorities were killed there as well. “Poland is not just a neighbor, but a treasured friend and important partner in Europe”, the minister said. “There is a close and intensive exchange.” This was what his talks with Jacek Czaputowicz were about as well, Maas said just before leaving Berlin. The European Union, including Germany, has problems with Poland. The ruling PiS party accuses the E.U. of trying to “undermine the country’s sovereignty”. Warsaw refuses to accept E.U. decisions connected to migration and other aspects. 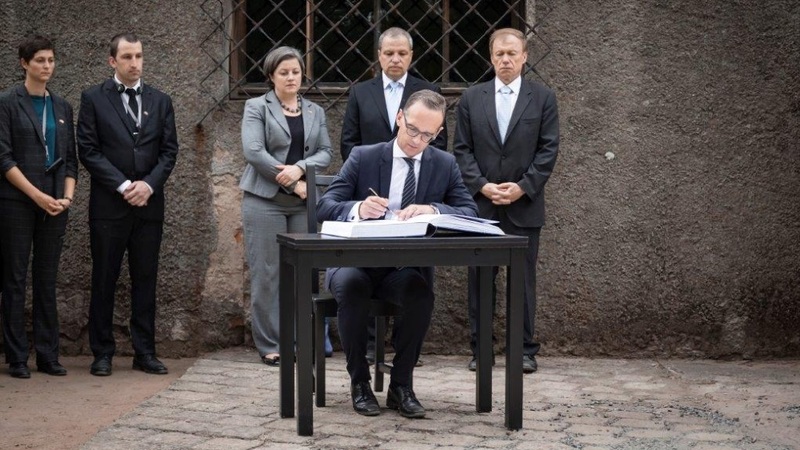 Heiko Maas is 52 years old and a member of the German Social Democrats (SPD), the junior partner in Chancellor Angela Merkel’s government coalition. After months of coalition talks which kept on stalling, Maas assumed his position as Foreign Minister on March 14th of this year.